As Apple unveils its new iPhone models, TrendForce has provided the following comments for your reference. Apple unveiled new versions of its iPhone on Wednesday and the specs are consistent with earlier expectations of the new models, says TrendForce. While last year’s premium-priced iPhone X sparked discussion in the market, Apple again moved towards a higher price range, passing the US$1,000 threshold. 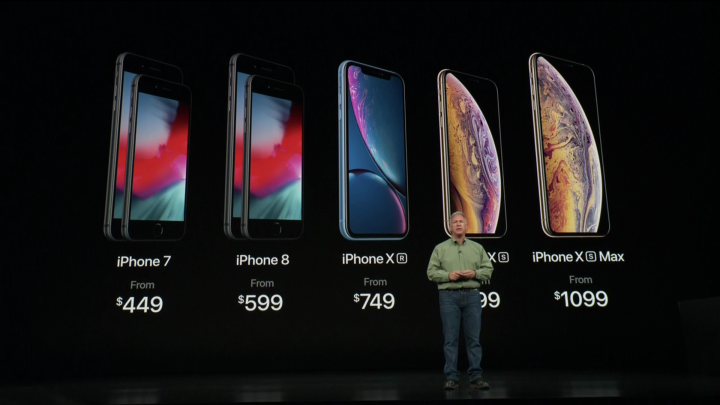 TrendForce believes that the aggressive pricing point Apple has chosen seems to be challenging the upper limit of prices that consumers are willing to pay for a premium smartphone. New iPhone Xs and iPhone Xs Max feature optimized photo quality, AR experiences, and dual-SIM, but they are less likely to boost the demand significantly due to the higher-than-expected prices, because consumers still need time to adjust to the price set for the premium models. As for iPhone XR, the more budget-friendly model, its pricing point is much lower than its OLED partners, iPhone Xs and iPhone Xs Max. Positioned as Apple’s main product this year to revive its sluggish smartphone sales, the iPhone XR with an LCD display will account for nearly 50% in the production capacity of the new iPhone series. However, this LCD model is also faced with uncertainties related to trade issues, the stronger US dollar, as well as even higher pricing outside the U.S. Therefore, it remains to be seen whether or not this LCD model could help Apple boost iPhone sales growth and profits. Meanwhile, the prices of older versions of iPhone, including iPhone7 and iPhone 8, are adjusted downwards to US$449 and US$599 respectively, which may create higher-than-expected demand for the older models.